Last Sunday I took part in the Henley Highwayman 5k run. This sprint run is something new they introduced this year, alongside three other options ranging in different km’s. The event is spread across the weekend, with the cycling on a Saturday and running on a Sunday. 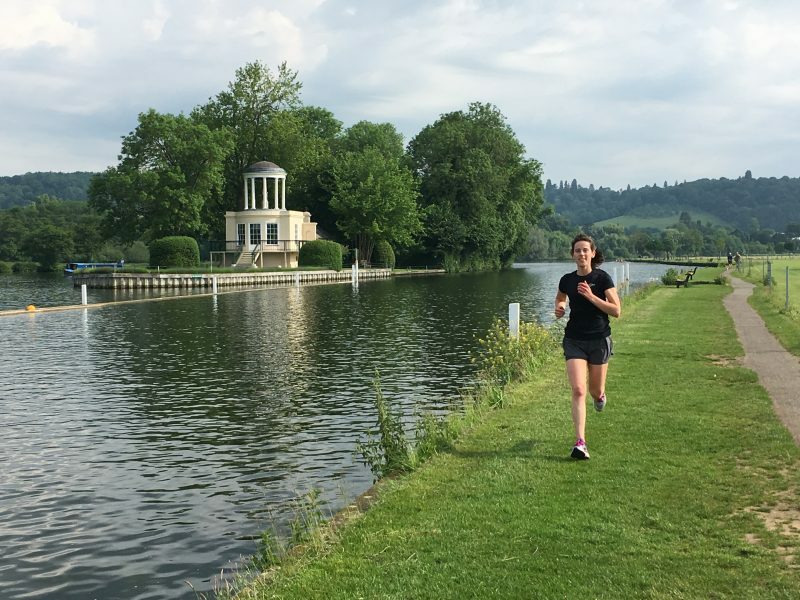 I decided to take part in this, to raise funds for the local Sue Ryder Hospice and because the course took you on part of the Henley Half route, which included a pretty horrendous hill…! I have to say, I am slightly glad I ran it, as I now know what to expect, but I’m not looking forward to doing it again!!! To my surprise, there weren’t many people who signed up. I thought it would have been a bigger event, as it was well advertised, but clearly not to everyones taste! We set off from the town centre, along the main road to the rugby club and up in to the woods. This is where we met the monster hill….it seemed to go on for ages and when you finally reached the top, the flat land was very welcoming! Across the field we ran, past a group of backpackers, doing their Duke of Edinburgh, and turning down the hill, back through the woods, onto the road and back to the rugby club finish line. A nice route, wet and slippy, but scenic and different, which always helps! I came 3rd and ran in a comfortable time. Wasn’t looking for a PB, just to experience the route and prepare myself for the half. I then headed home for a much needed shower, second breakfast, coffee and joined my parents for a dog walk! Fun Sunday and enjoyed meeting/talking to new people and of course, the run! Now, with only 2 weeks until the half, I’m starting to get nervous about whether I can complete it or not, but excited! Family and friends will be there to cheer me on and I have a week off to look forward to and recover after – perfect!